Welcome to the Bernalillo County Master Composter website. The Master Composter organization provides basic composting classes for the general public and trains volunteers to teach these classes. If you would like to attend a free composting class, please see Classes and Other Activities for the Public. If you would like to schedule a composting class for your organization, see Contact Information. If you would like to become a master composter, see Master Composter Volunteer Training. If you have a composting question, please see Ask a Master. If you would like to know more about us or find composting resources, see additional links in the left sidebar. And remember...when in drought, spread the compost out! Next Master Composter Volunteer Training Dates Set for April 3-27, 2019. Information and an application are now available at Spring 2019: Information for Students. If you've attended one of our Basics classes or equivalent, you are invited to attend our hands-on workshop on May 4, 9:00 am to 2:30 pm. Cost is $20, which includes lunch. Please see the workshop page for all the details. 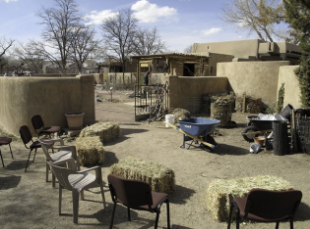 Bernalillo County Master Composters have prepared a new document about Bokashi Bucket Composting. Go to our Bokashi page to find a link to the document. Concerned about Odors in Compost? We've added a new document to the website about Avoiding Unpleasant Odors in Composting. Check it out. Looking for More Materials to Compost? Please see our new page Sources for Compost Feedstock. This lists local business who have food waste to contribute as well as ideas for where to find feedstock in your neighborhood and around your home. 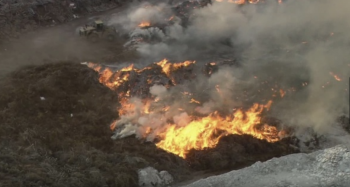 What Causes Compost Fires and How Can We Prevent Them? Albuquerque recently experienced a large fire in a commercial composting facility caused by spontaneous combustion of the compost. Spontaneous combustion in home compost piles is rare. However, the dramatic fire in Albuquerque has inspired us to provide some information about the conditions that might lead to such a fire and how to prevent one. 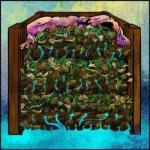 See Spontaneous Combustion in Compost. Please check out our presentations for four types of compost bins you can make at home that are especially suited for our desert climate. Composting in New Mexico has its special challenges. Composting in the Desert is our flyer specifically about composting in our part of the world, and newly revised May 2018. Also see Desert Composting Recommendations. For teachers, these materials are available on our composting handouts page. Read our new webpage Convective Air Flow which includes a beautiful drawing by Master Composter intern Jenn Myers. If you'd like to receive email about our longer workshops and master composter training you can sign up for our mailing list. Our organization has signed up to benefit from the AmazonSmile program. If you shop at Amazon and specify Bernalillo County Extension Master Composters as your charity, a percentage of what you spend will be donated to BCEMC. It's very easy to set up. Please see our Donations page for the details. Your support of BCEMC is much appreciated. 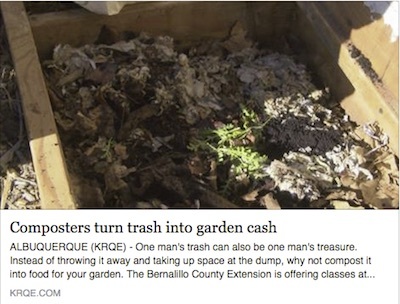 Our very own John Zarola was interviewed about composting by KRQE News 13. Watch the video. You can get to our site via the URL nmcomposters.org. Master composters, please share it with your students. The URL, bernalilloextension.nmsu.edu/mastercomposter, works as well. Both will get you to the page you are on now.